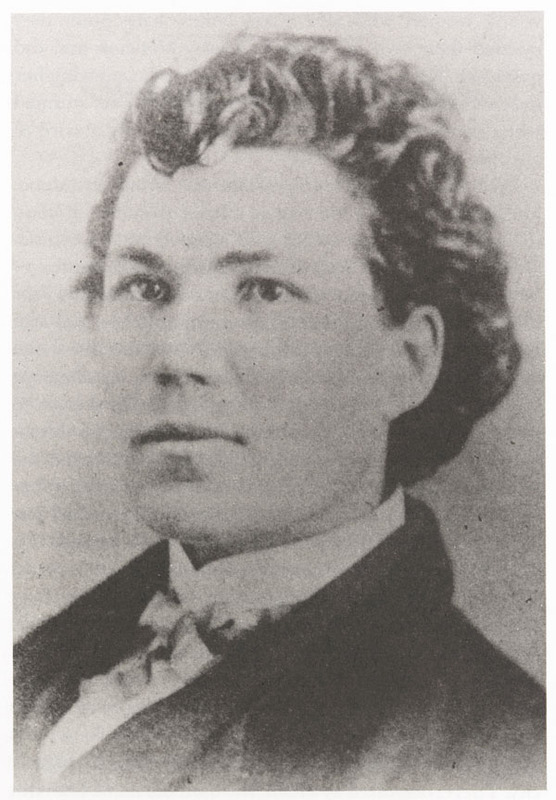 Sarah Emma Edmonds (December 1841 – September 5, 1898), was a Canadian-born woman who is known for serving as a man with the Union Army during the American Civil War. A purported master of disguise, Edmonds exploits were described in the bestselling Nurse, Soldier, and Spy. In 1992, she was inducted into the Michigan Women's Hall of Fame. Born in 1841 in New Brunswick, then a British colony, Edmonds grew up with her sisters on their family's farm. Edmonds fled home at age fifteen, however, to escape an early marriage. Aided by her mother, who herself married young, Edmonds escaped the marriage and ultimately adopted the guise of Franklin Thompson to travel easier. A male disguise allowed Edmonds to eat, travel, and work independently. Crossing into the United States of America, Edmonds worked for a successful Bible bookseller and publisher in Hartford, Connecticut. dressed as a man in order to pursue other adventures, to which Edmonds attributes her desire to cross dress. During the Civil War, on May 25, 1861, she enlisted in Company F of the 2nd Michigan Infantry, also known as the Flint Union Greys. On her second try, she disguised herself as a man named "Franklin Flint Thompson," the middle name possibly after the city she volunteered in, Flint, Michigan. She felt that it was her duty to serve her country and was truly patriotic towards her new country. Extensive physical examinations were not required for enlistment at the time, and she was not discovered. She at first served as a male field nurse, participating in several campaigns under General McClellan, including the First and Second Battle of Bull Run, Antietam, the Peninsula Campaign, Vicksburg, Fredericksburg, and others. However, some historians today say she could not have been at all these different places at the same time. Edmonds's career took a turn during the war when a Union spy in Richmond, Virginia was discovered and went before a firing squad, and a friend, James Vesey, was killed in an ambush. She took advantage of the open spot and the opportunity to avenge her friend's death. She applied for, and won, the position as Franklin Thompson. Although there is no proof in her military records that she actually served as a spy, she wrote extensively about her experiences disguised as a spy during the war. Traveling into enemy territory to gather information required Emma to come up with many disguises. One disguise required Edmonds to use silver nitrate to dye her skin black, wear a black wig, and walk into the Confederacy disguised as a black man by the name of Cuff. Another time she entered as an Irish peddler woman by the name of Bridget O'Shea, claiming that she was selling apples and soap to the soldiers. Again, she was "working for the Confederates" as a black laundress when a packet of official papers fell out of an officer's jacket. When Thompson returned to the Union with the papers, the generals were delighted. Another time, she worked as a detective in Kentucky as Charles Mayberry, finding an agent for the Confederacy. Edmonds's career as Frank Thompson came to an end when she contracted malaria. She abandoned her duty in the military, fearing that if she went to a military hospital she would be discovered. She checked herself into a private hospital, intending to return to military life once she had recuperated. Once she recovered, however, she saw posters listing Frank Thompson as a deserter. Rather than return to the army under another alias or as Frank Thompson, risking execution for desertion, she decided to serve as a female nurse at a Washington, D.C. hospital for wounded soldiers run by the United States Christian Commission. There was speculation that Edmonds may have deserted because of John Reid having been discharged months earlier. There is evidence in his diary that she had mentioned leaving before she had contracted malaria. Her fellow soldiers spoke highly of her military service, and even after her disguise was discovered, considered her a good soldier. She was referred to as a fearless soldier and was active in every battle her regiment faced. In 1864, Boston publisher DeWolfe, Fiske, & Co. published Edmonds' account of her military experiences as The Female Spy of the Union Army. One year later, her story was picked up by a Hartford, CT publisher who issued it with a new title, Nurse and Spy in the Union Army. It was a huge success, selling in excess of 175,000 copies. Edmonds donated the profits from her memoir to "various soldiers' aid organization." In 1867, she married Linnus. H. Seelye, a Canadian mechanic and a childhood friend with whom she had three children. All three of their children died in their youth, leading the couple to adopt two sons. Edmonds became a lecturer after her story became public in 1883. In 1886, she received a government pension of $12 a month for her military service, and after some campaigning, was able to have the charge of desertion dropped, and receive an honorable discharge. In 1897, she became the only woman admitted to the Grand Army of the Republic, the Civil War Union Army veterans' organization. Edmonds died in La Porte, Texas, and is buried in the Grand Army of the Republic (GAR) section of Washington Cemetery in Houston. Edmonds was laid to rest a second time in 1901 with full military honors. A number of fictional accounts of her life having been written for young adults in the 20th century, including Ann Rinaldi's Girl in Blue. Rinaldi writes of Edmonds's life and how she became to be Franklin Thompson. She was inducted into the Michigan Women's Hall of Fame in 1992. Deborah Sampson Gannett (December 17, 1760 – April 29, 1827), better known as Deborah Samson or Deborah Sampson, was a Massachusetts woman who disguised herself as a man in order to serve in the Continental Army during the American Revolutionary War. She is one of a small number of women with a documented record of military combat experience in that war. She served 17 months in the army under the name "Robert Shirtliff" (also spelled in various sources as Shirtliffe and Shurtleff) of Uxbridge, Massachusetts, was wounded in 1782, and was honorably discharged at West Point, New York in 1783. Deborah Sampson was born on December 17, 1760, in Plympton, Massachusetts, into a family of modest means. Her father's name was Jonathan Sampson (or Samson) and her mother's name was Deborah Bradford. Her siblings were Jonathan (born 1753), Elisha (born 1755), Hannah (born 1756), Ephraim (born 1759), Nehemiah (born 1764), and Sylvia (born 1766). Deborah's mother was the great-granddaughter of William Bradford, Governor of Plymouth Colony. Some of Deborah's ancestors included passengers on the Mayflower. Deborah was told that her father had most likely disappeared at sea, but evidence suggests that he actually abandoned the family and migrated to Lincoln County, Maine. He took a common-law wife named Martha, had two or more children with her, and returned to Plympton in 1794 to attend to a property transaction. In 1770 someone called Jonathan Sampson was indicted for murder in Maine; It is uncertain whether this individual was Deborah's father because there are no existing records containing biographical details about the defendant in the case. When Deborah's father abandoned the family, her mother was unable to provide for her children, so she placed them in the households of friends and relatives, a common practice in 18th-century New England. Deborah was placed in the home of a maternal relative. When her mother died shortly afterwards, she was sent to live with Reverend Peter Thatcher's widow Mary Prince Thatcher (1688-1771), who was then in her eighties. Historians believe she learned to read while living with the widow Thatcher, who might have wanted Deborah to read Bible verses to her. Upon the widow's death, Deborah was sent to live with the Jeremiah Thomas family in Middleborough, where she worked as an indentured servant from 1770 to 1778. Although treated well, she was not sent to school like the Thomas children because Thomas was not a believer in the education of women. Sampson was able to overcome Thomas's opposition by learning from Thomas's sons, who shared their school work with her. This method was apparently successful; when her time as an indentured servant was over at age 18, Deborah made a living by teaching school during the summer sessions in 1779 and 1780. She worked as a weaver in the winter; Sampson was highly skilled and worked for the Sproat Tavern as well as the Bourne, Morton, and Leonard families. During her time teaching and weaving she boarded with the families that employed her. Sampson was also reported to have woodworking and mechanical aptitude. Her skills included basket weaving, and light carpentry such as producing milking stools and winter sleds. She was also experienced with fashioning wooden tools and implements including weather vanes, spools for thread, and quills for weaving. She also produced pie crimpers, which she sold door to door. Sampson was approximately 5 feet 9 inches tall, compared to the average woman of her day, who was around 5 feet, and the average man, who was 5 feet 6 inches to 5 feet 8 inches tall. Her biographer, Hermann Mann, who knew her personally for many years, implied that she was not thin, writing in 1797 that "her waist might displease a coquette". He also reported that her breasts were very small, and that she bound them with a linen cloth to hide them during her years in uniform. Mann wrote that "the features of her face are regular; but not what a physiognomist would term the most beautiful". A neighbor who as a boy knew Deborah as an elderly woman remarked that she was "a person of plain features". A descendant named Pauline Hildreth Monk Wise (1914–1994) was believed by relatives to have strongly resembled Deborah, based on comparison of Pauline's physical appearance to a 1797 portrait of Deborah, contemporary descriptions of Deborah's features and height, and Pauline's height, which at 6 feet was taller than most men. Sampson's appearance—tall, broad, strong, and not delicately feminine—contributed to her success at pretending to be a man. In early 1782, Sampson wore men's clothes and joined an Army unit in Middleborough, Massachusetts, under the name Timothy Thayer. She collected a bonus and then failed to meet up with her company as scheduled. Inquiries by the company commander revealed that Sampson had been recognized by a local resident at the time she signed her enlistment papers. Her deception uncovered, she repaid the portion of the bonus that she had not spent, but she was not subjected to further punishment by the Army. The Baptist church to which she belonged learned of her actions and withdrew its fellowship, meaning that its members refused to associate with her unless she apologized and asked forgiveness. In May 1782, Sampson enlisted again in Uxbridge, Massachusetts under the name "Robert Shirtliff" (also spelled in some sources as "Shirtliffe" or "Shurtleff", and joined the Light Infantry Company of the 4th Massachusetts Regiment, under the command of Captain George Webb (1740–1825). This unit, consisting of 50 to 60 men, was first quartered in Bellingham, Massachusetts, and later mustered at Worcester with the rest of the regiment commanded by Colonel William Shepard. Light Infantry Companies were elite troops, specially picked because they were taller and stronger than average. Their job was to provide rapid flank coverage for advancing regiments, as well as rearguard and forward reconnaissance duties for units on the move. Because she joined an elite unit, Sampson's disguise was more likely to succeed, since no one was likely to look for a woman among soldiers who were specially chosen for their above average size and superior physical ability. Sampson fought in several skirmishes. During her first battle, on July 3, 1782, outside Tarrytown, New York, she took two musket balls in her thigh and a cut on her forehead. She begged her fellow soldiers to let her die and not take her to a doctor, but a soldier put her on his horse and took her to a hospital. The doctors treated her head wound, but she left the hospital before they could attend to her leg. Fearful that her identity would be discovered, she removed one of the balls herself with a penknife and sewing needle, but the other one was too deep for her to reach. Her leg never fully healed. On April 1, 1783, she was reassigned to new duties, and spent seven months serving as a waiter to General John Paterson. The war was thought to be over following the Battle of Yorktown, but since there was no official peace treaty, the Continental Army remained in uniform. On June 24, the President of Congress ordered George Washington to send a contingent of soldiers under Paterson to Philadelphia to help quell a rebellion of American soldiers who were protesting delays in receiving their pay and discharges. During the summer of 1783, Sampson became ill in Philadelphia and was cared for by Doctor Barnabas Binney (1751–1787). He removed her clothes to treat her and discovered the cloth she used to bind her breasts. Without revealing his discovery to army authorities, he took her to his house, where his wife, daughters, and a nurse took care of her. In September 1783, following the signing of the Treaty of Paris, November 3 was set as the date for soldiers to muster out. When Dr. Binney asked Deborah to deliver a note to General Paterson, she correctly assumed that it would reveal her gender. In other cases, women who pretended to be men to serve in the army were reprimanded, but Paterson gave her an honorable discharge, a note with some words of advice, and enough money to travel home. She was discharged at West Point, New York, on October 25, 1783, after a year and a half of service. An Official Record of Deborah Gannet's service as "Robert Shirtliff" from May 20, 1782 to Oct 25, 1783 appears in the "Massachusetts Soldiers and Sailors of the Revolutionary War" series. 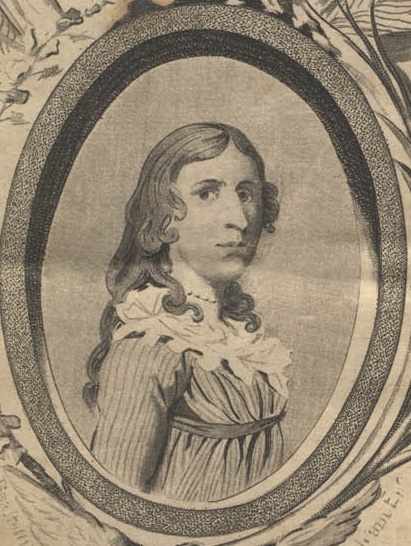 Deborah Sampson was married in Stoughton, Massachusetts, to Benjamin Gannett (1757–1827), a farmer from Sharon, Massachusetts, on April 7, 1785. They had three children: Earl (1786), Mary (1788), and Patience (1790). They also adopted Susanna Baker Shepard, an orphan. They farmed on land that had been in Gannett's family for generations; their farm was smaller than average, and the land was not productive because it had been worked extensively. These factors, coupled with the depression in the post-war economy, left the family on the edge of poverty. In January 1792, Sampson petitioned the Massachusetts State Legislature for pay which the army had withheld from her because she was a woman. The legislature granted her petition and Governor John Hancock signed it. The legislature awarded her 34 pounds plus interest back to her discharge in 1783. In 1802, Sampson began giving lectures about her wartime service. She began by extolling the virtues of traditional gender roles for women, but toward the end of her presentation she left the stage, returned dressed in her army uniform, and then performed a complicated and physically taxing military drill and ceremony routine. She performed both to earn money and to justify her enlistment, but even with these speaking engagements, she was not making enough money to pay her expenses. She frequently had to borrow money from her family and from her friend Paul Revere. Revere also wrote letters to government officials on her behalf, requesting that she be awarded a pension for her military service and her wounds. In 1804, Revere wrote to U.S. Representative William Eustis of Massachusetts on Sampson's behalf. A military pension had never been requested for a woman. Revere wrote: "I have been induced to enquire her situation, and character, since she quit the male habit, and soldiers uniform; for the more decent apparel of her own gender...humanity and justice obliges me to say, that every person with whom I have conversed about her, and it is not a few, speak of her as a woman with handsome talents, good morals, a dutiful wife, and an affectionate parent". On March 11, 1805, Congress approved the request and placed Sampson on the Massachusetts Invalid Pension Roll at the rate of four dollars a month. On February 22, 1806, Sampson wrote once more to Revere requesting a loan of ten dollars: "My own indisposition and that of my sons causes me again to solicit your goodness in our favor though I, with Gratitude, confess it rouses every tender feeling and I blush at the thought of receiving ninety and nine good turns as it were—my circumstances require that I should ask the hundredth." He sent the ten dollars. In 1809, she sent another petition to Congress, asking that her pension as an invalid soldier be modified to start from her discharge in 1783. Had her petition been approved, she would have been awarded back pay of $960—approximately $13,800 in 2016 ($48 a year for 20 years). Her petition was denied, but when it came before Congress again in 1816 an award of $76.80 a year (about $1,100 in 2016 dollars) was approved. With this amount, she was able to repay all her loans and make improvements to the family farm. Sampson died of yellow fever at the age of 66 on April 29, 1827, and was buried at Rock Ridge Cemetery in Sharon, Massachusetts. Sharon, Massachusetts now memorializes Sampson with a statue in front of the public library, the Deborah Sampson Park, and the "Deborah Sampson Gannett" House, which is privately owned and not open to the public. The farmland around the home is protected to ensure no development occurs on the historic homestead. In 1906, the town of Plympton, Massachusetts with the Deborah Sampson Chapter of the Daughters of the American Revolution, placed a boulder on the town green, with a bronze plaque inscribed to Sampson's memory. During World War II the Liberty Ship S.S. Deborah Gannett (2620) was named in her honor. It was laid down March 10, 1944, launched April 10, 1944 and scrapped in 1962. As of 2001, the town flag of Plympton incorporates Sampson as the Official Heroine of the Commonwealth of Massachusetts. Portrait of Deborah: A Drama in Three Acts (1959) is a play by Charles Emery that made its debut at the Camden Hills Theatre, Camden, Maine, on February 19, 1959. I'm Deborah Sampson: A Soldier of the Revolution by Patricia Clapp (1977) is a fictional account of her early life and experience in the Revolutionary War. Sampson is portrayed by Whoopi Goldberg in episode 34 of Liberty's Kids entitled "Deborah Sampson: Soldier of the Revolution." Alex Myers, a descendant of Sampson's, published Revolutionary (2014), a fictionalized account of her life. On July 7, 2016, historian/journalist Allison L. Cowan presented "Deborah Sampson: Continental Army soldier", a biographical talk for that week's First Thursdays at Saint Paul's Church National Historic Site. In her speech at the Democratic National Convention on July 26, 2016, Meryl Streep named Sampson in a list of women who had made history. Deborah Sampson's story, as narrated by Paget Brewster, was re-enacted in the Season 5 premiere of Drunk History. Evan Rachel Wood portrayed Sampson. Sarah Malinda Pritchard Blalock (March 10, 1839 or 1842, Avery County, North Carolina – March 9, 1901 or 1903, Watauga County, North Carolina) was a female soldier during the American Civil War. Despite originally being a sympathizer for the right of secession, she fought bravely on both sides. She followed her husband by joining the CSA's 26th North Carolina Regiment, disguising herself as a young male soldier named Samuel Blalock. The couple eventually escaped by crossing Confederate lines and joining the Union partisans in the mountains of western North Carolina. During the last years of the war, she was a pitiless pro-Union marauder, tormenting the Appalachia region. Today she's one of the most remembered female combatants of the Civil War. 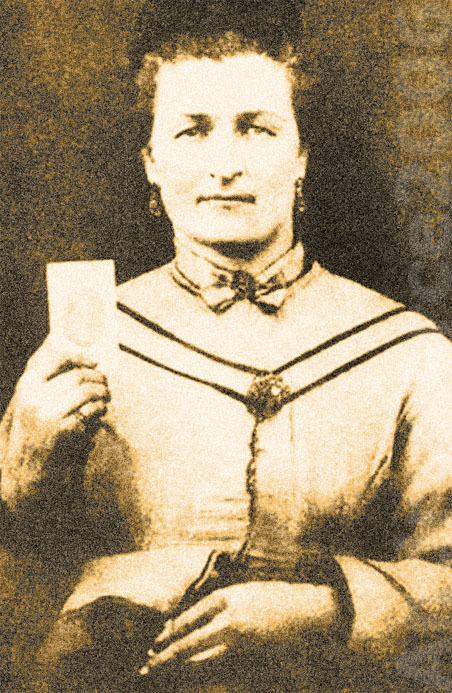 Sarah Malinda Pritchard was born March 10, 1839, in Caldwell County, North Carolina—now part of Avery County—which is located in the steep region of Grandfather Mountain and died March 9, 1903. She was the daughter of John and Elizabeth Pritchard, and the sixth of nine children. When she was a child, Malinda Pritchard resided in Watauga County—also now Avery County—which was her main residence until her death. There, she attended a single-room schoolhouse. sweethearts. At age 19, she married William in the politically turbulent 1861, causing a big stir around the families then. After the Civil War had begun, the inhabitants of the western North Carolina communities—in the Appalachian Mountains—were restlessly confronted over their eventual political adherences. Daily, the neighbors argued aggressively with each other, even against their folk people. For example, originally, Malinda expressed her sympathy for the right of secession. On the opposite political side, Keith and his stepfather Austin Coffey were radical unionists—even though Keith was opposed to President Lincoln—and they had planned to desert toward the Union someday. The Blalocks' opposing views did not affect their marriage, however. On time, the Confederate 26th North Carolina Infantry, commanded by Colonel Zebulon Vance, showed up in the region, to recruit the strongest men in those communities. Keith began to plan an escape across the frontier from his southern political enemies. He was hesitant, though, about whether he would flee directly toward Kentucky or enroll temporarily with the Confederate Army to desert across the enemy lines later. Keith also considered the consequences of an untimely escape on his beloved Malinda. While spurred by the good pay in serving the "Greys", Keith trusted that he would receive a light military commission eventually—to northern Virginia for example—from where it would be easy to desert to the first "Yankee" regiment around. Therefore, with feignedly gaudy attitude, he accompanied many of his neighbors to the recruitment office, signing up with the Confederate infantry. Instead of separating from her beloved Keith, Malinda decided to escape with him by enrolling in the 26th infantry too. She secretly dressed as a young man, cutting her hair and wearing male clothing. Fearing for Malinda, Keith had made sure that all local secessionists could see him while leaving his hometown with the Confederates. However, when arriving at the enlistment gathering at the town's railroad depot, someone began to walk by his side, a mysterious recruit who was wearing a forage cap and had a particularly little physique and delicate features. Surprisingly, "He" turned out to be Malinda, his own wife. Malinda was officially registered on March 20 of 1862 at Lenoir, North Carolina, as a certain "Samuel 'Sammy' Blalock" who supposedly was Keith's 20-year-old brother. This document and her discharge papers survive as one of the few existing records of a female soldier from North Carolina, from the many ones who may have actually served. An early bitter fact for Malinda and Keith was that their plan to defect was unworkable because, already before their arrival, the 26th had fought its biggest battle, which was the loss to the Union of the town of New Bern in eastern North Carolina. Therefore, instead of moving to Virginia's battlefront, they remained stationed—far from the northern frontier—at Kinston, North Carolina, on the Neuse River. While maintaining her hidden identity, Malinda was a good soldier. One of their assistant surgeons, named Underwood, pointed out that "her disguise was never penetrated. She drilled and did the duties of a soldier as any other member of the Company, and was very adept at learning the manual and drill." Keith kept the secret through the months that they shared the daily rudeness of the military life, such as like living in a tent. Later, he became a respected brevet sergeant, ordering Malinda then to "stay close to him". They fought in three battles together, but "Samuel"'s true identity remained still unknown. In April 1862, Keith's squad received the order to range the Neuse River's region by fording it during the night, to detect any enemy guarding-posts. Their ultimate objective was to track down the location of a particular Union regiment commanded by US General Ambrose Burnside. At one point of the mission, a hard skirmish began. Most of Keith's squad retreated to safety, crossing back over the Neuse River. However, after regrouping, it was found that "Samuel" was missing. Keith promptly returned to the battlefield. He found Malinda clinging to a pine and bleeding profusely, with a bullet lodged in her left shoulder. As quickly as he could, Keith carried Malinda back to the 26th in his arms. He brought her to the infirmary tent where she was attended by its surgeon, Dr. Thomas J. Boykin. The bullet was successfully removed, but the truth about "Samuel" was also discovered at Boykin's examination. Keith obtained the promise from Boykin that he would spare them some time before reporting this. Desperately, Keith rushed to the forest on that night, to a nearby field of poison ivy. He stripped his clothes and flailed through the underbrush, for about half an hour. The next morning, he suffered a persistent fever while his affected skin was inflamed and covered by blisters. Keith told the doctors that he had a serious recurrent illness which was highly contagious, adding the ailment of a hernia also. Fearing an outbreak of smallpox, the doctors discharged Keith expeditiously from the regiment and confined him to his tent. However, Malinda would remain stranded in the camp because her recent wound didn't yet merit a discharge. She decided to confront Colonel Vance once and for all. She offered herself as a volunteer to aid the sick Sergeant Keith on his return to Watauga. Vance's response was a clear "no", communicating to "Samuel" that instead "he" would be his new personal orderly. At that point Malinda decided to tell Vance the truth about her gender. Vance's first reaction was of disbelief while calling the surgeon and commenting to him: "Oh Surgeon, have I a case for you!" However, the physician corroborated the seriousness of Malinda's statement. Immediately, Vance discharged "Samuel" and demanded the restitution of "his" original enlisting reward of 50 dollars. Malinda and her husband could return to Watauga then. Once there, though, Keith was soon required by the local Confederate forces, which demanded that he enlist again—after noting his healthy status—and return to the front. Otherwise, he would be judged by the new Confederate laws of military draft. Therefore, Malinda and Keith fled again, toward Grandfather Mountain. There, they found more local deserters in the same condition. They stayed with them until the Confederate Army intercepted the group, injuring Keith in his arm. Malinda and Keith moved then to Tennessee, where they joined the US-10th Michigan Cavalry of Colonel George Washington Kirk, who was later succeeded by General George Stoneman. For some time, Keith accomplished some administrative chores as a recruitment agent. However, the couple decided to enter in action again, this time for the Union, by joining Colonel Kirk's voluntary guerrilla squadrons which were accomplishing some scouting and raiding missions throughout the Appalachia region of North Carolina. Always with Malinda next to him, Keith began in Blowing Rock, North Carolina, as one of the leaders of the guides for the Watauga Underground Railroad. This was a way of escape from the Confederate jail at Salisbury, North Carolina, which was the largest facility of the state. Keith had to guide the escaped Union soldiers to safety in Tennessee. However, from 1863 on, the skirmishes against the patrolling enemy forces in the region were increasingly tougher. Keith's pro-union guerrilla forces began then to torment Watauga County with no mercy. Because once they had been harshly humbled by the southern loyalists, the outlaws pitilessly raided their farms, stole and killed. Marauding throughout North Carolina's Appalachia region, they were soon feared by the entire state. Confederate vigilantes then murdered Keith's stepfather, Austin Coffey, and one of Austin's four brothers (William), while the other two survived the attack. The Coffeys had been betrayed by some local folks who were found and killed by Keith after the war. During the war, some of the most ill-fated actions of Malinda and Keith were their two pillaging incursions to the Moore family's farm in Caldwell County, late in 1863. One of Moore's sons, James Daniel, was the 26th's officer who recruited them originally. In the first incursion, Malinda was injured in her shoulder. During the second one, Moore's son was at home, recovering after the Battle of Gettysburg, while Keith got a shot in his eye and lost it. During the war, Keith lost the use of a hand. He also murdered one of his uncles who had turned to the Confederacy. After the war, Malinda and Keith returned to Watauga, to live the rest of their lives as farmers, with their four children. For some time, they had troubles getting Keith's government pension. Afterward, they joined the Republican Party where, in 1870, Keith ran unsuccessfully for a place in the Congress of the United States. Sarah Malinda Pritchard Blalock died in 1901, at age 59, due to natural causes while she was sleeping. She was buried in the Montezuma Cemetery of Avery County. Very affected, Keith moved to Hickory, North Carolina, taking his son Columbus with him. On April 11, 1913, Keith died in a railroad accident. He lost control of his handcar on a curve, and was crushed to death. Some versions attribute his death to a local payback for his past years with Malinda. He was buried beside her at Montezuma Cemetery. His stone badge reads: "Keith Blalock, Soldier, 26th N.C Inf., CSA."